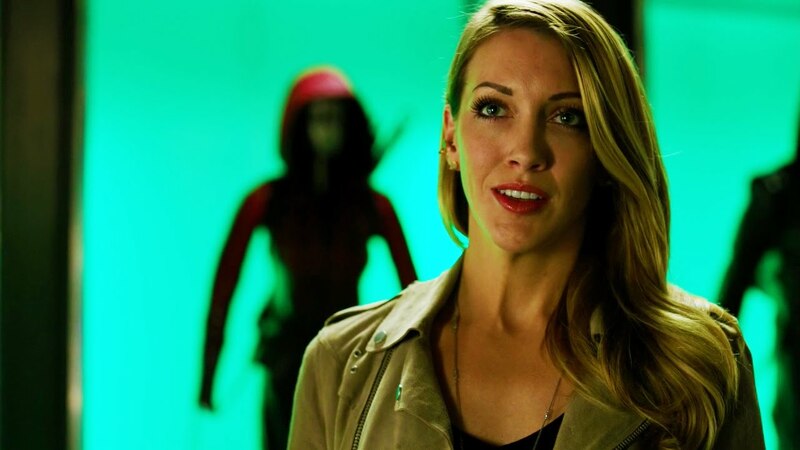 It's no surprise that Arrow's midseason winter finale had a cliffhanger but what was surprising was the return of the long departed Laurel Lance (Katie Cassidy). The show is no stranger to characters returning from the dead but how exactly do they explain this one? This new extended trailer for the January 25th episode "Who Are You?" might provide a spoiler of information. Proceed with caution. It would seem Barry's meddling with the timeline has unleashed Laurel Lance of Earth-2, the Black Siren villain of that universe, last seen captured in season 2 of 'The Flash.' It's great to see Cassidy back on the show even though her Black Canary character was misused and frankly wasted. A source of strength and equal to Green Arrow in the comics was treated as an incompetent sidekick on the show. Naturally, her characterization infuriated fans online. The emphasis on the Ollie-Felicity relationship left a lot of fans exasperated. There was a conflict between traditionalists and the #Olicity camp. That seems to be fading as Olicity seemingly is dissipating. The trailer reintroduces her but through the montage of scenes, it doesn't seem like a happy reunion. We'll see how long and how often Cassidy appears in the second half of the season.